GHANA’S blitz on illegal mining is yielding environmental dividends, with fish returning to rivers heavily polluted by the practice, the president of the gold producing West African nation said on Tuesday. Since assuming office in January 2017, Nana-Akufo Addo has made the clean-up of small-scale or artisanal mining a top policy priority. A ban has been imposed on artisanal mining and Addo sent the military to clear illegal miners from AngloGold Ashanti’s historic Obuasi mine, ending an invasion that had rendered the asset toxic. Addo was on hand last month for the mine’s re-opening. Addo told the Mining Indaba 2019 that artisanal mining had grown from small-scale roots into a sophisticated and global criminal enterprise that was damaging the country’s social and ecological fabric. “We in Ghana have a big problem with a particularly dark side of mining. It has been leading to a dramatic degradation of our land and waterways,” he said in reference to illegal mining. “Time was when this was a relatively minor practice. You could describe it almost as romantic … Now it has become a large scale and dangerous operation, mainly as the result of sophisticated equipment and material being brought into the field by foreign-controlled criminal syndicates,” he said in prepared remarks. Moving beyond gold, which has long been associated with the country, Addo said Ghana was hopeful of diversifying its mineral production into iron ore, bauxite and lithium. “We are determined to build an integrated iron and steel industry out of our extensive iron ore and manganese deposits to serve the needs of our country and region. 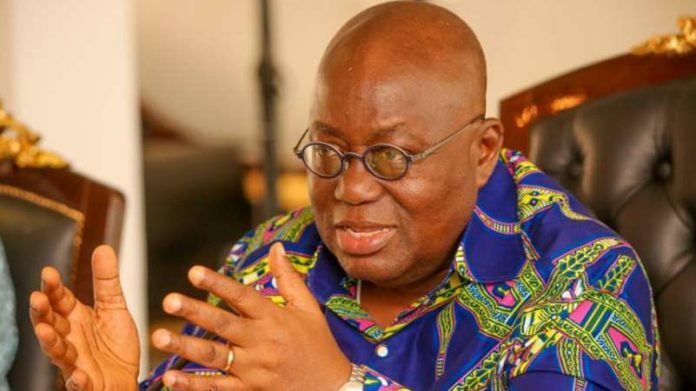 To that end, parliament in its current session will consider and hopefully approve the establishment of another public corporation the Ghana Integrated Iron and Steel Corporation,” he said.